There’s a story most business owners have—the personal one—that they don’t tell for whatever reason. As a women-owned start-up with some large, international clients and no VC funding, Language I/O Co-Founders Heather Morgan Shoemaker and Kaarina Kvaavik were concerned that going public with their recent struggles against cancer, a wicked accident and a VC funding rejection might cause new clients to shy away. But after a rock-solid start to 2016, they decided it was time to share their story in order to encourage other female entrepreneurs. While their story is personal, the message of overcoming tremendous obstacles is beneficial to everyone. Kaarina and Heather started Wyoming-based Language I/O in 2012. Language I/O develops software that allows their clients, including well-known brands such as LinkedIn, iRobot and SurveyMonkey, to easily provide customer service support in multiple languages. Heather and Kaarina’s clients love the software because the unique solution is embedded right inside customer relationship management (CRM) platforms such as Salesforce and Oracle Service Cloud, where their support agents are already working. What’s even more unique about Language IO, is that it was started and is run by two women. 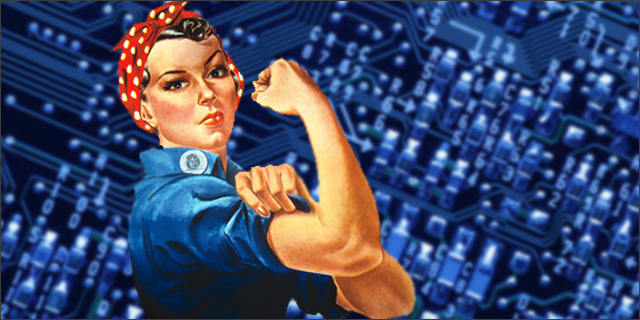 According to Bloomberg, female entrepreneurs start only three percent of technology companies. 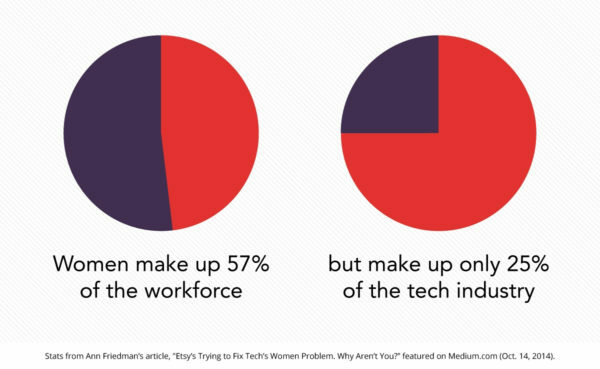 This is despite the fact that women-led, private technology companies generate 12 percent higher revenues than their male counterparts. Further, women are all but absent on software company management teams outside of legal and marketing positions. Kaarina was born into a tri-lingual household where she spent her impressionable years picking up English, Swedish, Finnish, Norwegian, German, and Russian. 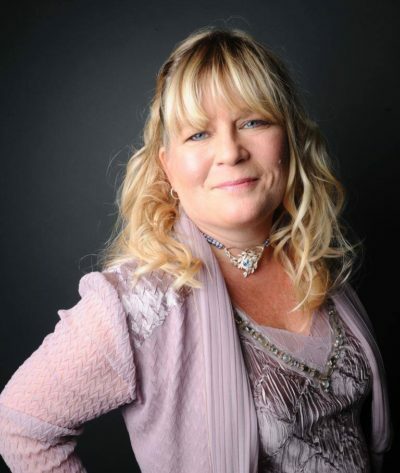 After her move to the US in the early 90s, she broke into localization and worked for some of the largest translation vendors in the industry, earning a name for herself in localization sales and marketing. Heather is a software engineer with a master’s degree from the University of Colorado College of Engineering and an Alaska native. Before she got into software, she worked as a Spanish-English interpreter for the US Immigration and Naturalization Services, taught English in Mexico City and spent five years as a newspaper reporter. 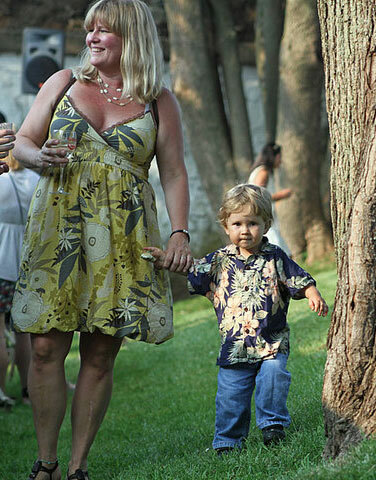 Heather and Kaarina first collided in 2004 at a software startup in Boulder, Colo. They instantly hit it off. Kaarina’s outgoing personality complemented Heather’s quiet, analytical one. In 2010, Heather left a lucrative corporate job and started a software development firm. Not long after, Kaarina called Heather about a new opportunity. At the time, Kaarina was a co-owner of a translation services company. One of its clients was going global at a breakneck speed and asked if Kaarina’s company could automate the translation process for its self-help content (FAQs, etc.). Basically, the client estimated that without help it would need to hire half of a full-time person per language and still wouldn’t be able to hit its time-to-market goal. Heather knew she could automate the process, but instead of solving the problem for a single client, she suggested that they build a product that could be used by many companies. The two women ran through the can-we-do-this, what’s-the-demand conversation most startups have. This progressed to, “let’s hit the ground running!” and, because both had succeded in their previous careers, they had nest eggs that would help fund their idea for several years. 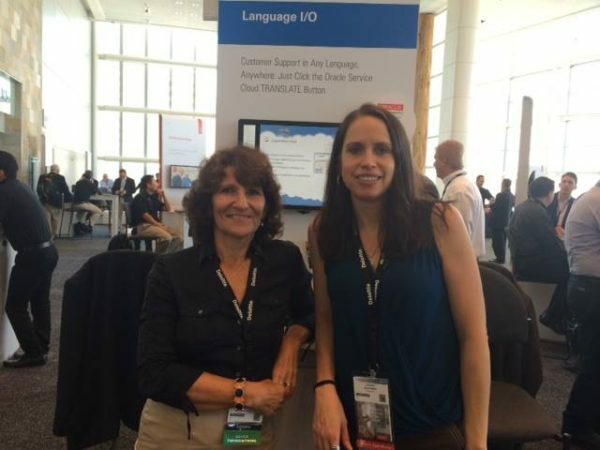 Kaarina and Heather funded and released LinguistNow®, software that allows those using Oracle and Salesforce CRMs to provide customer service in any language. They started adding large clients such as LinkedIn, iRobot and Shutterstock; grew from two employees to ten; and doubled revenue year-over-year. Initially, they did it on their own without any external investment. In 2014, they received a small angel investment and determined that a larger VC investment would go a long way toward easing the financial tension common among startups. 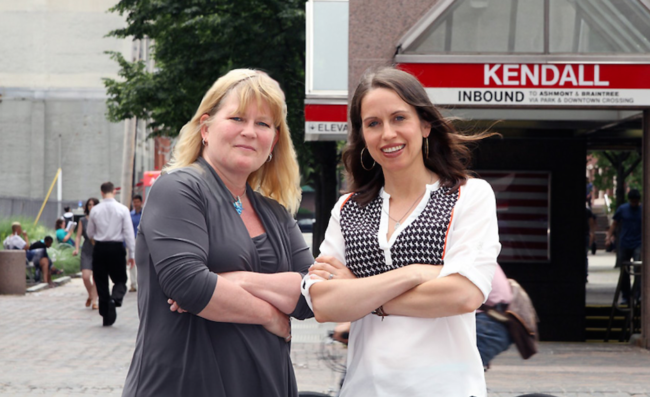 So in 2015, Heather and Kaarina decided to seek funding. Heather and Kaarina had conversations with VCs in Silicon Valley, Colorado, Wyoming and Boston where Kaarina is located. In February 2016, outside funding seemed like it might become a reality. Heather and Kaarina connected with a VC group they liked and, for the first time since they’d been in conversation with VCs, they found a VC with a few women in leadership positions. That, of course, was when the other shoe dropped. A week after the diagnosis, Heather flew to Boston so she and Kaarina could meet with the investors they had started conversations with. They returned after a successful meeting and continued to run Language I/O as if nothing had changed. “I don’t think our customers knew a damn thing,” said Kaarina, adding that both she and Heather were worried that if clients knew about the diagnosis, it would negatively impact their clients’ faith in their abilities. Heather had to have a mastectomy to remove the tumor, which a PET scan showed was larger than the oncologists initially thought. The surgery was slated for March 2016 after which Heather would be out for nearly two weeks, leaving Kaarina and the rest of the Language I/O team to manage on their own. Heather worked up to the day she drove to the hospital. Thankfully, the cancer was successfully removed. Despite the large size of the tumor, a genetic test indicated that chemotherapy was not necessary. However, an intense radiation cycle was needed to lower the likelihood of local cancer recurrence. 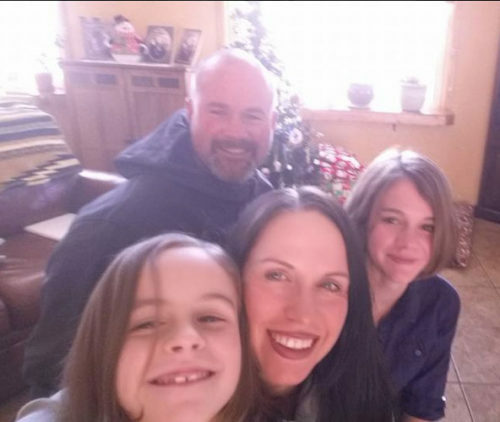 Every weekday for six weeks during April and May, in addition to raising a family and expanding a startup, Heather drove two hours each way from Cheyenne to Denver for radiation treatment. During those intensive weeks of radiation, Heather convinced her oncologist to let her pause treatment for a day so she could fly back to Boston to again meet with the VCs. She wore a scarf to cover any signs of radiation burns and she and Kaarina marched into the meeting to give one last presentation, outlining their Language I/O expansion plan to the full VC group. Things were looking up. Both women felt positive about the prospect of getting the funding. That, of course, is when they got another surprise. Despite the fact that a patentability specialist told the VC that the Language I/O software was highly patentable; a technical consultant pronounced LinguistNow® software soundly architected; and Language I/O was not only profitable, but doubling revenue year over year, the VC backed out. Turns out, the Language I/O founders’ experience with investment rejection isn’t unique. 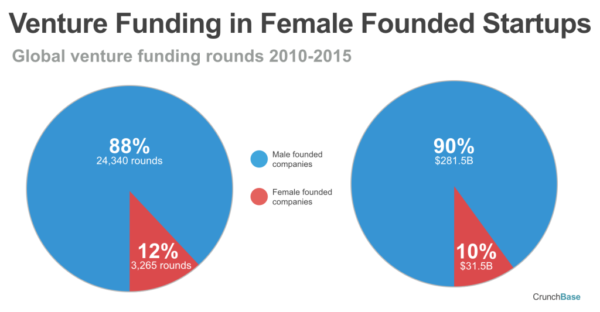 Statistically, very few women-run companies get funding. Studies show that the mostly male-run VCs want to lend to other men, not women, especially when it’s hard-core, patentable technology in question and not baby wipes or fashion. Despite the rejection, Kaarina and Heather were still doing the impossible: Funding themselves, treating cancer, running a company and ensuring multinational companies such as SurveyMonkey, LinkedIn, and Shutterstock were having seamless, multilingual interactions with their customers. They say bad luck comes in threes. For Heather and Kaarina, the third piece came when Kaarina’s boot met a piece of Boston black ice. “I fell face first in a parking lot, fractured my nose, gave myself a concussion, and completely tore my rotator cuff off the bone,” Kaarina said. To regain the full use of her arm, Kaarina had no choice but to have a surgery that literally rendered her dominant arm immovable for six weeks. Before Kaarina had surgery, she installed dictation software on her computer so she could keep working. Heather continued commuting from Wyoming to Denver for daily radiation. During this medical breakdown, Heather and Kaarina not only maintained their service level, they also landed three new clients and launched a new product—LinguistNow® Response—on the Salesforce App Exchange, the world’s leading business app marketplace. Most importantly, as the mothers of daughters, both Kaarina and Heather say they hope that what they’re doing today will somehow make it easier for young women who are interested in working in tech. They’re hopeful that the barriers may be a bit lower when their daughters hit the workforce. “As a woman at the University of Colorado’s College of Engineering school and later being employed at various software firms, I experienced sexual harassment the males never saw,” Heather said. “But that kind of discrimination was so obvious it was easier to confront than the more subtle biases I encountered daily. It got worse in managerial positions where one boss promoted only the female subordinates who would flirt with him and took projects away from the rest of us. So that’s what two female entrepreneurs can do when faced with adversity, after adversity, after adversity. Incidentally, 2016 is shaping up to be a great year. Even without funding, Heather and Kaarina have established Language I/O as the de-facto translation solution for two major CRM platforms, their client list continues to grow and revenue is doubling year over year. And to top it all off, they are about to launch a new-to-the-market chat translation product for both Oracle and Salesforce. Ivy Hughes is the social media director at Language I/O. To connect with the CEOs, find Heather here and Kaarina here. For more information about LinguistNow®, click here. For more details about the story, email ivy.hughes@languageio.com or share it on Twitter @LanguageIO or on Facebook.